For the last year, cases have been working their way through the courts against Johnson & Johnson and their talc supplier, with plaintiffs who used their baby powder or Shower to Shower powder suing because they were diagnosed with cancer after long-term use of the products. Last week, a jury handed down a landmark verdict against Johnson & Johnson on behalf of plaintiff Larry Lanzo and his wife. Lanzo had used Shower to Shower powder and other similar products for nearly 30 years, and developed mesothelioma, a type of lung cancer. Lanzo believes the disease came from inhaling the product during the past three decades of use. The court ruled Johnson & Johnson must pay $117 million in damages, with $30 million of that going to Lanzo, and $7 million to his wife. The rest of the money – $80 million – will be paid in punitive damages. Johnson & Johnson issued a statement saying it does not believe there is a link between its powder and mesothelioma. This is not the first time Johnson & Johnson has been called into court to defend its powder products. Both Johnson & Johnson Baby Powder and Shower to Shower powders have been the subject of litigation. 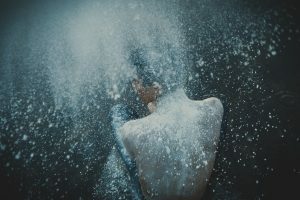 The products contain talc, and evidence points to a link between women who use such a powder in the genital area repeatedly and developing ovarian cancer. For decades, talcum powder was considered to be a perfectly safe part of a woman’s feminine hygiene routine. Women commonly sprinkled it on the genital area as part of their daily routine. I can’t stress enough how important it is for people to stop using talc immediately if you are using powder in your daily routines. Stop, immediately. Switch to a corn starch-based powder, which has not been shown to create the problems that talc-based powders have. If you are still using talcum powder, it is prudent to stop using it and to see a doctor. If someone you know is still using it, tell them about the risks. And if someone in your family died from ovarian cancer and used talcum powder, you may be entitled to damages. Contact me, attorney Bob Young, for a free initial consultation. You can reach me at (270) 781-6500 or byoung@elpolaw.com.